Copywriting vs. 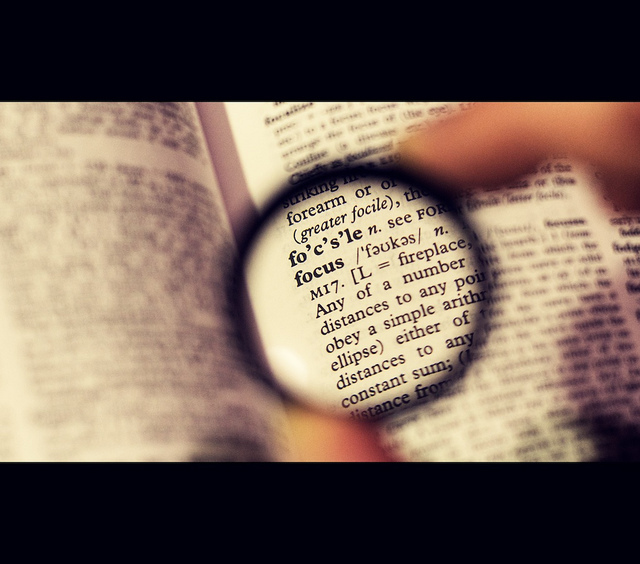 Content Marketing: Where Should You Focus? Is there a difference between copywriting and content marketing? Heck, yes there is. While they aren’t quite apples to oranges, these are two emphatically different tactics for web-based writing. If you’re not including a balance of both methods in your marketing efforts, you’re not going to see the results you intend. Content Marketing is a specific avenue of content creation that involves composing high-quality articles, visual aids, or videos in order to acquire or retain customers. Copywriting involves crafting prose and descriptions in order to entice viewers to take action. This could involve getting folks to make a purchase, opt in to a newsletter, share a piece of content — you get the picture. Not all copywriting initiatives will necessarily involve a content marketing strategy (but by all means, they should). But if you’re doing content marketing without an eagle eye on stellar copywriting, your content is likely underperforming. Many great businesses begin and end with an outstanding blog. Every post on your blog should always answer a specific question related to your demographic, or act as an invaluable resource that showcases thought leadership. To quote Lee Odden, the great online marketer and wordsmith, “A blog is only as interesting as the interest shown by others.” Therefore, as you create each blog post, your content marketing strategy must involve staying current in your industry, and being extremely mindful of what’s relevant to your audience. Your copywriting focus, by contrast, involves crafting the right string of words to motivate your readers to act on the information you’re providing. Without that last piece of the puzzle, all the eyeballs in the world won’t help you reach your true potential. Incorporate a well-thought-out social media strategy into your marketing efforts. Great copywriting combined with social outreach can give credibility and the priceless element of social proof to your blog and other content. Make sure headlines are eye-catching, yet honest. Never entice readers to take the time to consume any content with an angle that’s even remotely misleading. That said, don’t be afraid to be controversial and alluring, as long as you stay honest. Before you compose each piece of content, know the exact problem or idea you are conveying, and how it will benefit and assist your viewers. Use copywriting to help engender a feeling of trust and expertise in everything you create; if you don’t convey authority and credibility, your long-term results will suffer greatly. Don’t ever forget to include a strong, concise, and clear call to action in everything you create; include it in a couple of places in your material, but always at the end as a powerful takeaway. Good copywriting is all about influence; to that end, never use your powers of persuasion if you can’t deliver on everything your copy promises. Everybody’s buzzing about SEO these days, and rightfully so. Yet you should never write copy that speaks only to search engines. Create content for your exact demographic, ensuring quality and valuable information, and search engines will also take notice. Write solely for search bots and you will lose actual eyeballs. As a rule, 1 of out 10 content pieces should directly sell your company’s products or services. Free information should be the bulk of your focus. If you’re not borderline uncomfortable with the amount of quality content you are giving away, your content marketing needs a boost. Content that looks like an ad IS blatant advertising — don’t go this route unless you want to be ignored. Finally, if you aren’t insanely proud of every article you post, knowing it truly does provide value and quality, don’t publish it. You aren’t trying to win a quantity race. The new way of doing things is to build an audience and listen intently. Then you’ll have a better chance of delivering something to them that they actually want. Remember that content creates fans, and great copy converts those folks into actual customers. In the world of marketing, that’s a delicious recipe indeed.